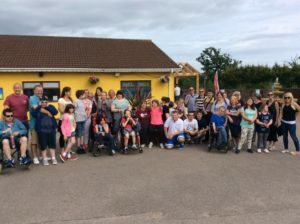 Children and helpers from Super Saturday had a day trip to Crealy Adventure Park. There was a buffet lunch on the decking in the sunshine and then the afternoon was spent in the animal kingdom, enjoying the play areas and all the rides and rollercoasters. Previous PostMillfield Mencap Fun DayNext PostVOTE FOR US TO WIN A SHARE OF £10,000!